If you're not from Eastern Pennsylvania, a quick note of background is in order. There once was a brewery called Legacy Brewing. They made good beer in Reading, PA, including a beer called the Hedonism red, which carried label - by artist Deric Hettinger - so risque that it caused a kerfuffle that made national news. Also, that little brouhaha inspired one strange young man to look deeply into the art being created in his beloved craft beer industry, and then to make a show of it, and then, eventually, to start a blog on it. Sadly, Legacy was not around for all of it. Due to circumstances that remain murky, Legacy closed its doors, taking with it the Hedonism Red, the Hoptimus Prime DIPA, the Midnight Wit, and the reanimated brand Reading Premium, a cheap mass-market light lager that had nonetheless been welcomed back to the city by the many denizens who had grown up with it. I won't speculate or rumor-monger, except to repeat (as I have several times now) that brewing is a cash-intensive business where it is easy to have lots of demand and no money. Then, a few months ago, we started hearing that these beers might come back, under the name Ruckus. That seemed particularly strange to me, since I knew the name Ruckus as the marketing firm where artist Dave Gilliland had done the later Legacy label art (such as that of the Hoptimus Prime). But they were a creative firm in New Jersey, not brewers, right? After some time (they've understandably been a little busy), Gilliland agreed to talk with me and give me some details on Ruckus Brewing Company. Hope you enjoy it! A marketing firm moving into craft beer? In a nighttime phone conversation with Ruckus Brewing Company's Dave Gillland, it becomes very quickly clear that he does not think this is as strange as I do. "We did all their marketing and we started producing all their labels," Gilliland says of the now-defunct Legacy Brewing Company. "When the economy went south in 2008, they couldn’t sustain their overhead anymore"
He says all this with a matter-of-fact somberness that has become common for anyone who works with businesses during the Great Recession. I work with small businesses, and so I'm familiar enough with this tone of voice that I know the connotations; these things happen, even to businesses and breweries we love. "We saw a good product and we didn’t want it to die," he says, and if one didn't know better, one might almost assume that was natural response for a marketing firm whose client goes under in the worst economy of the last 100 years. 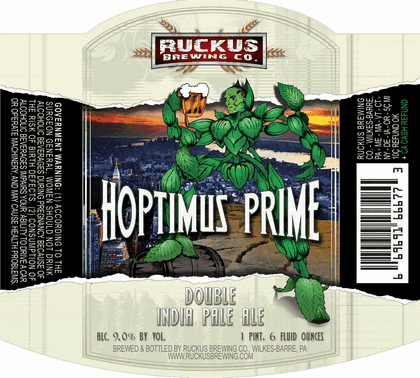 Ruckus Brewing Co., born of Ruckus Marketing, purchased the intellectual property for Legacy's craft beer lines, but started with the light lager Reading Premium as a way to provide a stable revenue stream on which to rebuild the craft line. "It already has its own followers," he says. 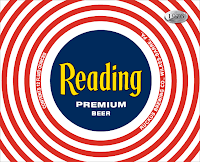 Living in Reading right now, where it has reappeared on shelves, I am aware of this, but also of the confusion that has swirled around this brand, which has gone through several owners since it stopped local production in the 1970s. Okay, I ask, so you're growing this brand, but where and how? "We want to be everywhere, but right now we’re focusing on Pennsylvania, New York, New Jersey, Delaware," he says. "We have Reading Premium up in the Boston area and it’s doing real well up there." Gilliland speaks about distribution and answers my questions politely, but I can not get away from the sense that I am boring him. I ask if they are worried about overextending. He's just rattled off five potentially large markets, which is about four more than most would start with. It is as if I have just asked a professional baseball player if he is concerned about getting splinters from his bat. "The beer is being made fairly quickly," he assures me. "We’re not taking on too much at once." In the course of conversation, I become more and more confused. I am a geek for the ins and outs of the beer business, which I expected to be a source of excitement for a marketing firm, but all Gilliland wants to do is talk about, well, beer. For example, he talks at length about the different label designs they are releasing for Reading Premium. To celebrate the brand's 125th birthday, they are releasing a different label every month. "We wanted to make it so it was almost like a collector’s item," he says. "Some of these labels are really cool labels and different from anything that’s being done today"
His excitement grows when he talks about the various hands through which Reading Premium passed before Legacy. "They didn’t have any passion about it," he says, "and that’s something we do have. 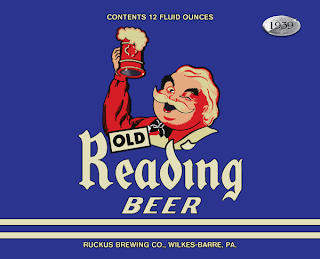 We learned about the brand and the history and what it did for the city of Reading." It is fairly rare to hear that level of passion espoused about Reading from, well, anyone. To hear it coming from a marketing firm in New Jersey is more than surprising. "We’re not coming in to change the brand," he continues. "We want to keep it authentic and we want the people of Reading to still love it." 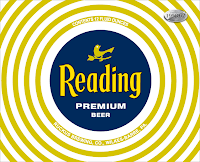 It takes me a while, but I realize that, at least for Gilliland, who lived in Kutztown for five years, the building of Reading Premium is a personal dream. "I can say from my point of view… growing up I always wanted to do something with beer," he says. "I always wanted to design a beer label or produce a beer commercial and just be involved with it." For those of us used to craft beer, where conversations start and end with concepts like quality, authenticity, and scarcity, this emotional dedication to a brand that used to belong to someone else is something unexpected and different. "I do know the area and I do know the people," he says, confirming that he is not alone at Ruckus. "I think just having the passion and the drive has really helped us and the company." But how passionate can they be? I press him on the launch of Ruckus Brewing as a business decision. "I don’t think we’re viewing it as a way to get rich… it’s something new to us, too. It’s a challenge and its exciting and we’re ready to take it on," he says, remaining stubbornly nonchalant and reasonable. "The main thing is that we have fun with it." Ruckus may have launched a brewing company, but it is clear they have no plans to give up dual cheerleader-reality check roles of a marketing firm. Gilliland's title, for example, is still "Creative Vice President," a position one would find on the staff lists of few brewing companies. So how will all of this work? "Everything is done out of house... Right now it’s contract brewed through Lion brewery," Gilliland confirms. "One of the guys from Legacy still works with us and makes sure that the recipes are still the same." That would be Mark Hummel, Legacy's old brewmaster. When it comes to launching the craft lines of Legacy, Hoptimus Prime is on shelves in New York and selling well. "We're getting calls every day about availability," he says. "Right now everybody’s taking to it." I try and gently ask if they are concerned about the lack of control with contract brewing, or if the are worried that some will see it as inauthentic, but Gilliland says the relationship with Lion is great and the quality has been up to their standards. At that point, I have to ask if there are plans to build or brew in their own facility. "I think it’s too early to say, but [if the resources were there] we’d… definitely look into doing it." So much of America's first and second waves of craft beer are about the people and their origin myths; Sam Calagione's brewpub in Delaware, Vinnie Cilurzo buying his award-winning brewery from Korbel, Jim Koch going door to door with Sam Adams. There is variance, but they all start with a man and his brewing. If they succeed, Ruckus' story will be a decidedly different one; it will be about a group of guys who fell in love with a brand and the business of beer. Talking to Gilliland, one can not help but get the feeling that this is at least partly the shape of things to come. Some will love it, some will hate it, but this generation of brewing company owners know that, whatever else they might be, beers are brands. To them, who actually puts the grains and water into tanks is not an essential part of what a beer is. If the brand and beer is reliable, high-quality, and stands for something, people will drink it. At least, this is my perception of this different model. In craft beer, contract brewing is often a dirty word. Of course, one wonders if that is truly a philosophical belief that will hold up after something we like is contract brewed. What if it, like so many other industrial technologies, is taboo until it is done well? After all, it used to be that blending beer batches was absolutely a no-go; now, many larger craft breweries engage in the practice, which helps them control quality, just as it has for macrobreweries for a long time. And Ruckus is not Pabst. This is a group of people apparently committed to a community (albeit one where they do not live), committed to beer, and committed to a decidedly craft business strategy. The fact that they have contracted people who know how to brew seems like it shouldn't be a cardinal sin. After all, the people who work at contract breweries are not incapable; what if they are just as skilled as brewers a place like Ruckus might hire if they had the means? How is it different to subcontract your labor, rather than hire it outright? And does it really matter what bricks and mortar house the fermenters? 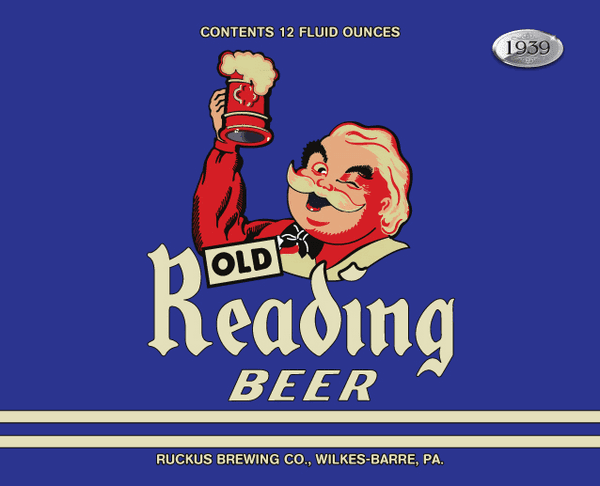 Put another way: If a beer brewed in a New Jersey warehouse by Ruckus employees tasted identical to a beer produced by the employees of Lion Brewery in Wilkes-Barre, PA, under the leadership and foresight of a skilled brewmaster... should we care? I do not pretend to have the answer to these questions, but I believe they will very much become a part of the next ten years of craft beer. Outfits like Ruckus, that are dedicated to making beers with character and running a good business, will fight for space on shelves and in our fridges, and the question of what it means to be a craft brewery will only get thornier. In the meantime, I can safely say that many people in Reading and beyond are watching the Ruckus endeavor with a great deal of interest. Whether or not the men at Ruckus find it it fascinating, almost every craft beer person I speak to is curious about what this new type of brewing company is and, if it will work, how it will work.